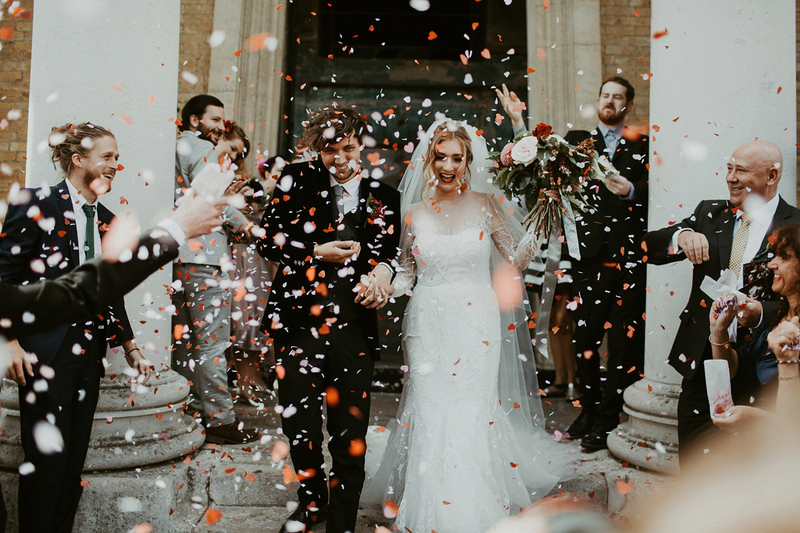 Our stunning bride Ashleigh was married in the Asylum Chapel in Peckham, described as a truly unique location, the Asylum a grade 2 listed building that was founded in 1826. 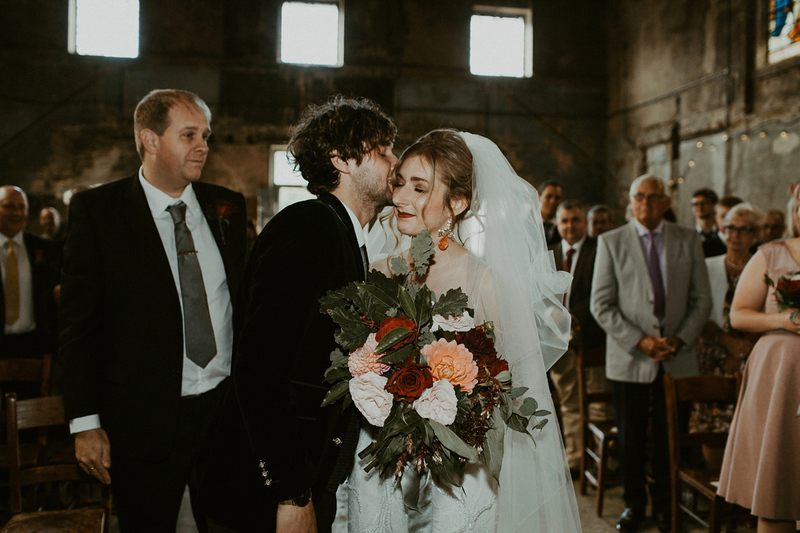 Ashleigh loved medieval history as you can definitely see from her wedding photos, so we wanted to create a make-up look that would be complementing her theme but also something that she was going to feel the best version of herself in. Ashleigh wanted a glamorous look without looking too made up. We kept her skin looking really natural with not too much coverage, we wanted her skin to look like skin as much as possible as the emphasis was going to be on the eyes and lips. We used a thin layer of Armani Luminous Silk foundation and then we pinpoint concealed only as and where we needed to so the overall coverage of the skin still looked really natural. On Ashleigh’s eyes we used one of our favourite eye shadow pallets, Tom Ford’s Honeymoon palette. 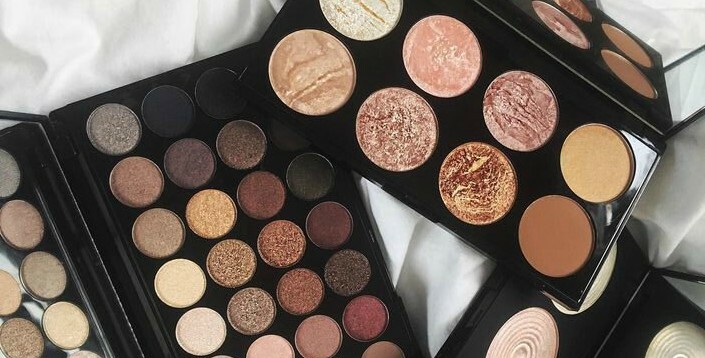 The golds in this pallet are to die for and they look like a layer of silk on the eye. 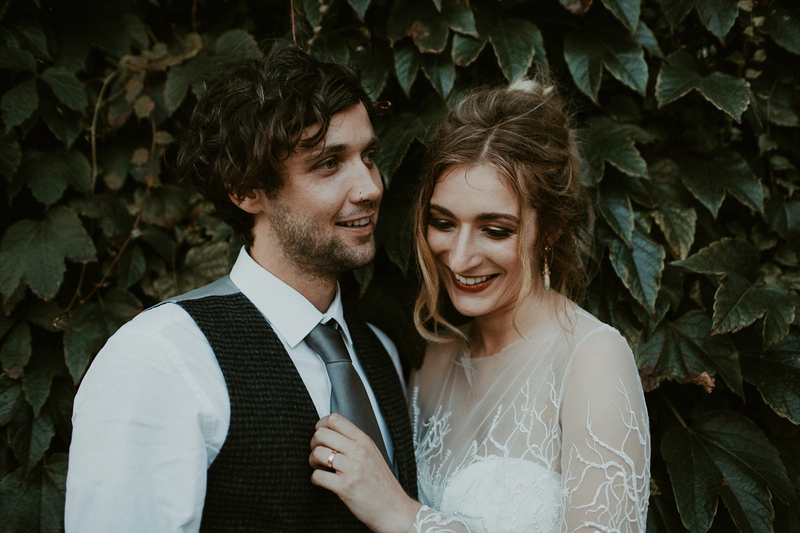 We went for a soft contoured eye keeping the main part of lid lighter and then fading into the mid shade then the darker shade in the honeymoon palette, this really lifted Ashleigh’s eyes on the outer corners. We didn’t want to go for a full smokey eye as Ashleigh wanted a red lip so we thought this was a really nice balance. We also added lashes for fuller fluttery lash effect, we used Ardel demi whispies which are our go to lashes for brides as they still look like they could be your own. 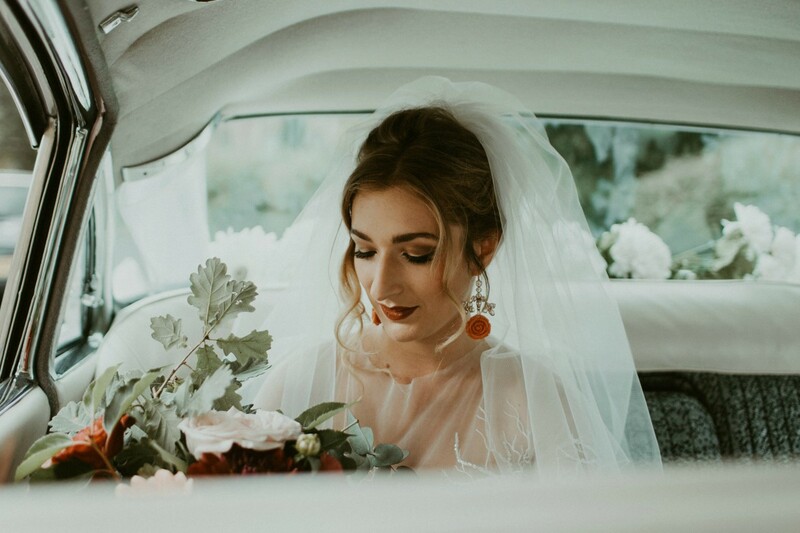 We opted for a subtle contour and blush which still kept Ashleigh’s skin looking natural, again we wanted to keep this really soft as the emphasis was on the eyes and lips. For lips we went for a deep red, we thought this tied in beautifully with the flowers and the over feel of the wedding, when we got the images back we were thrilled with how everything worked together. The best bridal make up palettes on the market!